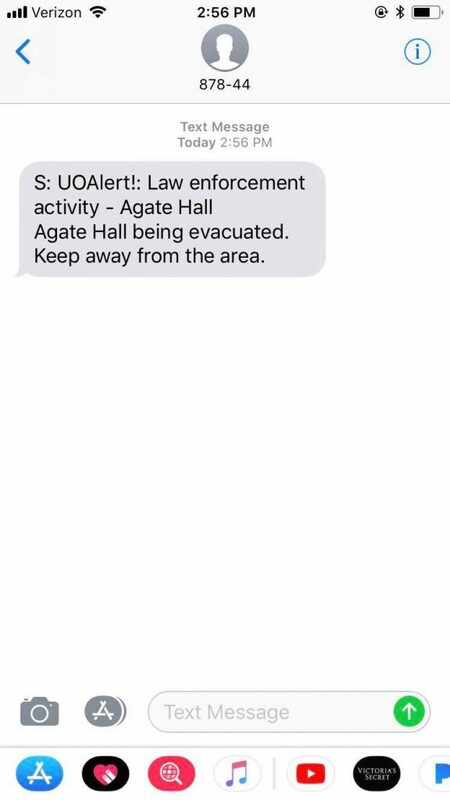 Agate Hall has been evacuated after students were sent an alert about a possible bomb threat. Students received the alert around 3 p.m. Tuesday afternoon, stating that UOPD was made aware of a potential bomb threat. Law enforcement evacuated Agate Hall and are currently looking into the situation. “The police were very professional and asked all faculty and students to exit the building in an orderly fashion,” said Executive Director of the American English Institute Cheryl Ernest. 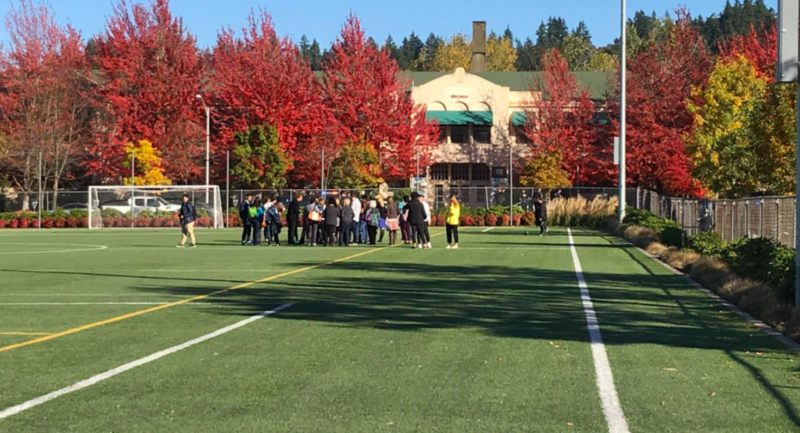 #BREAKING: Police are responding reports of a bomb threat on the University of Oregon campus. KEZI has a crew on the scene. Students are instructed to stay away from the area. UPDATE: The building will be closed until at least 5 p.m. today and all students have been sent home. UPDATE: Police have confirmed that the Agate Hall activity is resolved and that street traffic reopened as of 4:10 p.m.